December is here and in the world of sports there is a lot going on. One event is the beginning of bowl season for college football’s ridiculous postseason. I don’t need to get into the why the system is so ludicrously insane. The little good that comes of it however is in the stadium world, as the spotline shines on three stadiums that remain very quiet for the other 364 days of the year. Independence Stadium in Shreveport, LA plays host to one of the longer running bowl games in the country, the Independence Bowl. This simple stadium only sees high school action during the year and it’s one big moment is when the bowl game comes calling. Another stadium that is now down a bowl game as it’s main attraction is the Florida Citrus Bowl in Orlando. 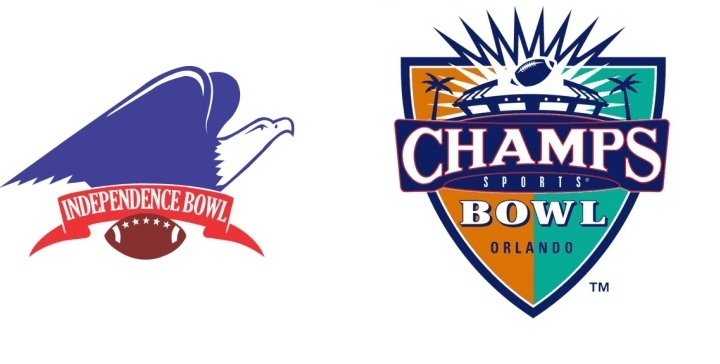 They actually get to host two games: the Champs Sports Bowl and the Capital One Bowl. For nearly three decades, UCF called this stadium home, until they built their own stadium in 2007. A remarkable amount of teams have used this as their home facility, from the USFL to XFL to UFL. It even hosted the World Cup in 1994. Now the only other permament tenant is Orlando City SC, a USL Pro team. The other two stadiums that host a bowl, but do not have a professional sports team or a FBS team as a main tenant are down in Texas. They are a couple storied venues worth seeing: the AlamoDome in San Antonio and the Cotton Bowl in Dallas. The Alamo Bowl is likely the biggest attraction at San Antonio’s stadium, however if you are to take in a game at the Cotton Bowl, the annual Texas-Oklahoma game that takes place during the State Fair is probably the best time to see the remarkably historic stadium.